1. The Beginning of Membership as We Dream It - On the Affiniscape Blog. After reading The End of Membership as We Know It and discussing future membership model iterations, I think that there is a 'sweetspot' where associations have the chance to take a step back and explore what membership would be if there were no limitations. Defining membership first from our imagination may help direct the paths we take to be ones we want and not just ones we need. 2. 5 Tips to Keep Your Association Website on the Curve in 2012 - On the AssociationTech Blog - As 2012 ramps up there are a number of articles that have come out describing steps to take to make sure that your website stays forward looking. For many associations, our websites still struggle to be 2005 much less 2012 - here are 5 quick tips to use when evaluating if your association website is ready for today before moving to tomorrow. 3. Leader Tomorrow? Work on these Skills Today - On the Millennial Chat Blog - Whether in your volunteer efforts or in the workplace, do you see expanding leadership positions in your future? Here are just three suggestions of areas of concentration and development today that can help those future pursuits. And though I have not yet posted, I am excited to participate with newly certified CAE Lauren Hefner on her new blog on the CAE experience - http://caeslambook.wordpress.com/ . With posts from those who have tried to become a CAE, those who have succeeded, and those who are in the process of studying/testing (that last one is me) - this blog has the potential to be a great resource for all association professionals who look to get their certification. A new post will be back on association141 soon - see you then! 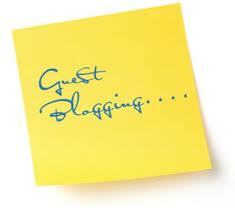 Love the twist on guest blogging (linking to several, as opposed to having just one writer)!